Boogie down in the Bronx with a 10-mile race through this vibrant New York City borough. With title sponsor New Balance back again this year, the New Balance Bronx 10 Mile promises to be an even bigger and better event for all runners, their friends, and their family. 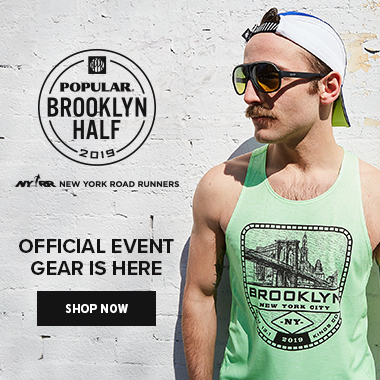 The 2019 New Balance Bronx 10 Mile is part of NYRR's Five-Borough Series: Run New York. Five Boroughs. One City. The NYRR Five-Borough Series showcases our renewed commitment to the individuals and communities in each borough. More than just five races, the Five-Borough Series—the United Airlines NYC Half, the Popular® Brooklyn Half, the NYRR Queens 10K, the New Balance Bronx 10 Mile, and the NYRR Staten Island Half—is a celebration of what makes each borough unique, inspiring, and an amazing place to get out and get moving! Live unofficial results are available during the race at liveresults.nyrr.org and in the NYRR app. Features include leaderboards, map tracking, and an individual runner search that can be shared on Twitter. Tell your friends and family to follow your progress, and get unofficial results right after the race! Photos will be captured and provided by Gameface a couple of days following the race. Visit https://www.gamefacemedia.com/find-my-photo-assistance/ and search the race name to receive access to your photos. Digital copies may be downloaded for free and prints will be available for purchase. We strongly encourage participants to take public transportation to and from the race. Take the 4 or D train to 161 Street–Yankee Stadium. For more information and to plan your race-day transportation, please visit MTA Weekender. Check back later for parking information. For participants taking a taxi or using a ride-sharing service, please use Gate 4 at Yankee Stadium as your drop-off location to avoid road closures. Join HSS post-race at the Runner Recovery Zone. Runners will be led through guided stretching and foam rolling by HSS’s expert primary care sports medicine physicians, physical therapists and performance coaches while also receiving tips on how to best recover from the race. 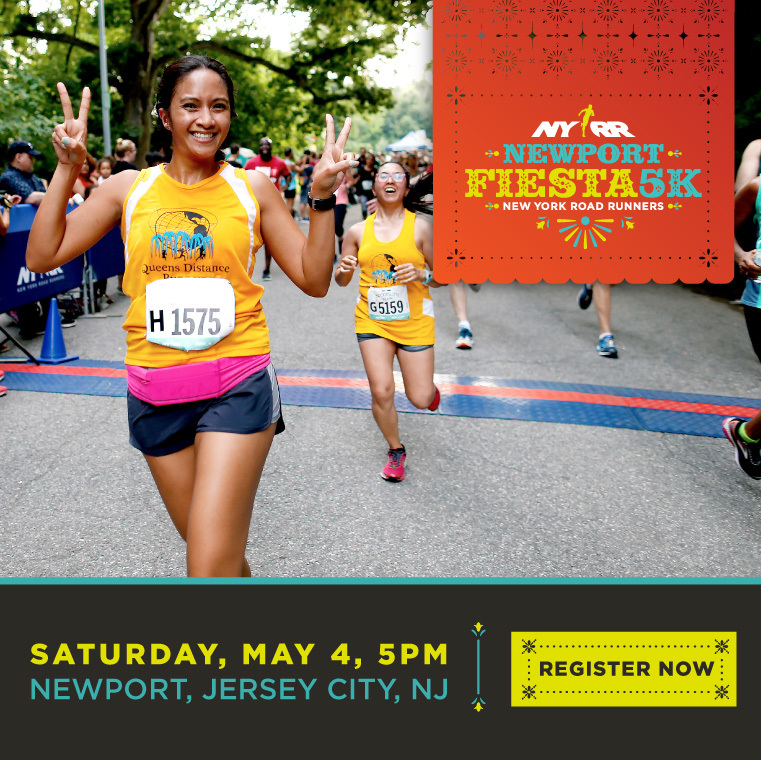 Boys and girls are invited to take part in some field-day-style fun at Rising New York Road Runners at the New Balance Bronx 10 Mile. Registration will be open for youth ages 2 to 18 of all ability levels, so sign your kids up today and give them the chance to run the dash, tackle our obstacle course, and enjoy other fun fitness games and activities in Macombs Dam Park. While you’re in town for the New Balance Bronx 10 Mile, check out the nycgo.com New York Road Runners NYC Visitor Guide for official information about Bronx restaurants, shops, nightlife, and sporting events as well as exclusive deals and offers. Tell us the special reason you're running the 2019 New Balance Bronx 10 Mile and what makes your story different. Have you overcome odds or a challenge in your life? Are you running to honor a special person or cause? Have you used running to empower yourself or others? Take our brief survey, and together we can inspire others through running. Sunday, September 22, 10:00 a.m.–6:00 p.m.
Monday, September 23, 7:00 a.m.–8:00 p.m.
Tuesday, September 24, 7:00 a.m.–8:00 p.m.
Wednesday, September 25, 7:00 a.m.–8:00 p.m.
Thursday, September 26, 7:00 a.m.–8:00 p.m.
Friday, September 27, 7:00 a.m.–8:00 p.m.
Saturday, September 28, 8:00 a.m.–8:00 p.m.
On race day, numbers will be available at Race-Day Central, located at River Avenue and East 161st Street, from 6:30 a.m. to 7:30 a.m. Please be sure to allow yourself enough time to get from Race-Day Central to the start. Show the QR code from your race confirmation email or your NYRR account to pick up your race materials. Souvenirs are subject to availability. Bag check, also located at Race Day Central, will be open from 6:30 a.m. to 11:30 a.m. If you wish to check a bag, please allow additional time for that as well as security. Runners must check their bags before entering the start corrals. If you're unable to pick up your race materials, a friend or family member can pick up for you; the person will need your QR code (printed or digitally). This policy is in effect only for our weekly races, not for the TCS New York City Marathon. The New Balance Bronx 10 Mile starts on the Grand Concourse at 165th Street and finishes on East 161st Street near Macombs Dam Park and Yankee Stadium. Miles 1–4: Start by heading north on the Grand Concourse. Just before mile 4, turn left onto Mosholu Parkway. At about 4.25 miles, near Goulden Avenue, make a U-turn on Mosholu Parkway and head east toward the New York Botanical Garden. Mile 5–6: After reaching Marion Avenue, turn left, then left again to head west on Mosholu Parkway back toward the Grand Concourse. Continue west on Mosholu Parkway, then turn left onto the Grand Concourse. Mile 6–9: Continue south on the Grand Concourse. Mile 9–10: Pass the starting line and Joyce Kilmer Park. At East 161st Street, turn right and continue to the finish line. Time Limit: In the interest of safety, and to allow Bronx streets to reopen as scheduled, any participant who is unable to maintain a 13:45-per-mile pace throughout the race (based on the time when the last runner crosses the start line) will have the opportunity to board a sweep bus, starting at approximately mile 6 for transport to the finish. These participants may choose instead to continue running on the sidewalks, but they should be aware that fluid stations and other course amenities may not be available. These runners may not be recorded as official finishers; they can email results@nyrr.org to request 9+1 TCS New York City Marathon qualifying credit for the race. Thank you for your cooperation with this policy. Members of the NYRR Pace Team Presented by Biofreeze will guide participants toward specific goal times over the 10 miles. There will be signs in the corrals starting at 6:51 per mile. If you choose to run with a pace group, pacers—you’ll recognize them by the NYRR Pace Team Presented by Biofreeze logo and the green and blue chevron design—will carry signs that correspond with their finish times and paces. Check back closer to race day for a chart of which paces team members will be running. Bronx residency will be determined by ZIP code. A runner must have his/her My NYRR profile updated with current address at the time of registration to be eligible. A copy of an NY driver's license, NY state ID card, or current bill (within 60 days of event) with address imprinted will be required to verify borough residency before prize money will be distributed. As we approach the 2018 New Balance Bronx 10 Mile, Peter Ciaccia, president of events of NYRR and race director of the TCS New York City Marathon, looks at the creation and the evolution of races in the “boogie down” Bronx. The Bronx vibe is unmistakable, and this morning’s New Balance Bronx 10 Mile welcomed more than 12,500 participants to be a part of it.